Contract contingencies were called a somewhat derogatory term during the 1970s. Agents used to call contract contingencies "weasel clauses." That's because a contract contingency would let buyers weasel or slip out of a contract. That means that prospective homeowners could cancel a contract without penalty. Buyers would get back an earnest money deposit upon cancellation. That's the benefit of contract contingencies. There's no risk to the buyer. Appraisal - Buyers who obtain a loan will be required by the lender to pay for an appraisal to substantiate the purchase price. Sometimes, a low appraisal is received. Standard C.A.R. contracts (California Association of Realtors) call for an appraisal contingency within a certain time frame when financing is incorporated. Loan Contingency - Even though a buyer may hold a loan preapproval letter, further investigations concerning the property or the borrower could result in a loan denial. Some loan contingencies run all the way to closings, and other types might exist for a few weeks. Home Inspection - Buyers have the right to hire a home inspector and conduct a complete inspection of the home. If buyers issue a Request for Repair, the seller must receive a copy of the home inspection, and in some cases, the seller is entitled to the home inspection regardless. A home inspection contingency is usually satisfied and released early-on in the purchase contract. Lead-based Paint - Federal laws give all buyers ten days to inspect for lead-based paint. Many homes built before 1978 contain lead-based paint. You would be astonished at how many buyers do not care about lead-based paint inspections. Wood Destroying Pest Inspection - The contract should specify who will pay for the pest inspection and whether outbuildings or garages are covered during the inspection. If pests or dry rot conditions are noted, there could be an additional expense to negotiate. Roof Inspection - Many home inspectors will not walk on a roof due to the possibility of damage and liability if the roof is damaged. Some buyers hire a roofing company to conduct a roof inspection. It is generally not a good idea to hire a company that stands to profit by installing a new roof to do an inspection. Sewer Inspection - Sewers can get clogged from tree roots or deteriorate over time. Plumbing companies can insert a camera into the sewer line to check for damage during a sewer inspection. This is an expensive repair. It's better to conduct this inspection before you buy the home rather than after. Radon, Mold or Asbestos Inspections - Depending on a visual inspection, sometimes home inspectors will call for additional inspections by licensed entities to check for special situations such as radon gas, mold or asbestos. Remediation or removal of these defects is generally expensive. Early Occupancy Agreements - Contracts can be contingent upon the buyer and seller entering into a written agreement that allows the buyer to rent the property before the close of escrow. This is known as early buyer possession. It is common in many areas for the seller to stay a few days after closing. Private Well Inspections - If the home is not connected to city water but rather has a private well, buyers may want assurance that the water is potable and meets acceptable health standards. A well inspection can also deliver stats on how fast the water can be brought to the surface. If the well does not pass inspections, it is not unreasonable to ask the seller to remedy the situation. Preliminary Title Report - Title investigations will disclose easements, monetary liens of record, including the ability of the seller to transfer clean title to the buyer, and Covenants, Conditions & Restrictions (CC&R) information. If you can, always order a title policy. You might discover an easement falls on the property line right where you want to build a fence or put in a pool, and that could be grounds for cancellation of a contract. Homeowner Association Documents - Buyers should obtain for approval a copy of all homeowner association documents, including meeting minutes, if applicable. Pay special attention to the Home Owners Association (HOA) reserves. A deficiency in the reserves could be a red flag that the HOA is in financial trouble or the HOA dues might be in line for a steep increase. Seller Statutory Disclosures - Sellers in California are required to disclose all known material facts, including preparing and delivering a Transfer Disclosure Statement (TDS), Natural Hazard Disclosure Statement, special taxes, and statutory supplemental questionnaire. This paperwork is part of the buyer's inspection contingency. 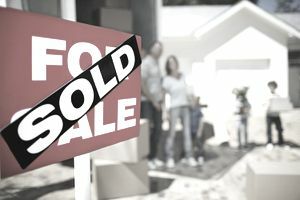 Buyers who have an existing home might want to buy before selling and make the contract contingent on selling their home. Sellers who accept contingent offers like this often give the buyer a certain number of days to perform. If the buyer cannot perform, the seller retains the option to cancel the contract. Concurrent closings can be tricky but not impossible in the right hands.